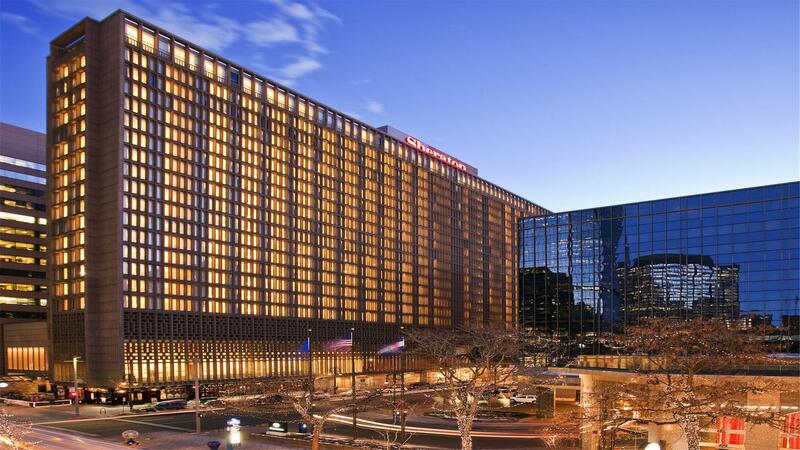 Rent Sheraton Denver | Corporate Events | Wedding Locations, Event Spaces and Party Venues. Celebrate with brilliance and inspiration and allow us to create an affair to remember at the Sheraton Denver Downtown Hotel! Our welcoming staff places emphasis on even the smallest details and will insure that every step is taken to make your day perfect! The Sheraton Denver Downtown Hotel has the Denver meeting space you're looking for. Experience the flexibility and versatility of our 133,000 square feet of meeting and exhibit space, just blocks from the Colorado Convention Center. Our facilities include a wide variety of room sizes and capabilities for groups of 10 to 3,000. Between now and “I do”, a lot has to happen in preparation for a Denver wedding. Whether your big day will be shared with 50 guests or 750, the Sheraton Denver Downtown will ensure the happiest day of your life is the most seamless one as well. Our Wedding Specialist is ready to bring your dreams to life. When planning your Denver wedding in one of our beautiful venues, we understand that you want options. The Denver wedding venues and ballrooms at the Sheraton Denver Downtown Hotel are each unique and flexible. We boast gorgeous city views as well as romantic indoor locations. Extravagant celebrations, intimate galas, and stylish banquets come together effortlessly in this charming setting.